A profound and immeasurably valuable JUBILEE GIFT of mercy and relief has been bestowed by Lord RayEl to the Saints in the Divine Service. 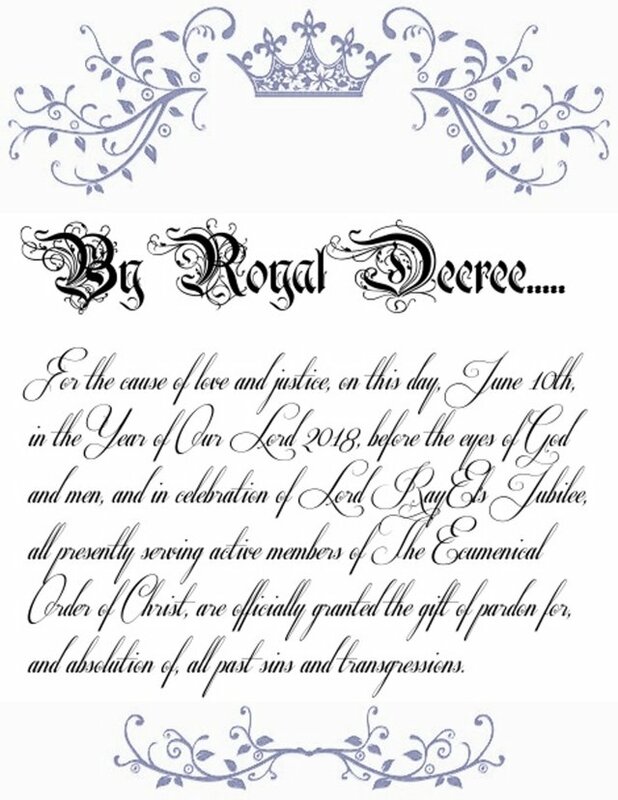 By His Royal Authority, as delineated in John 5, Lord RayEl has on the 10th day of June 2018, decreed that ALL actively serving personnel of The Ecumenical Order of Christ have been absolved of their past sins, and need no longer fear their Day of Reckoning before the Judgment Throne! Let it be known by all that their loyalty, fidelity, hard work, and commitment have this day earned them this official gift of forgiveness for all of their past sins. The Son of God is a King of both love and justice, and He distributes both punishment and mercy as they are deserved, for His wrath is great, but His love for the worthy is far, far greater!!! A biblical Jubilee lasts for 1 year... The Jubilee year of The Lord has begun!!! Que todos sepan que su lealtad, fidelidad, trabajo duro y compromiso les han otorgado este día este regalo oficial de perdón por todos sus pecados pasados. Me encanto esta frase. This is the best gift I've ever gotten and from Christ RayEl Himself, it is a true honor thank you so much Lord. 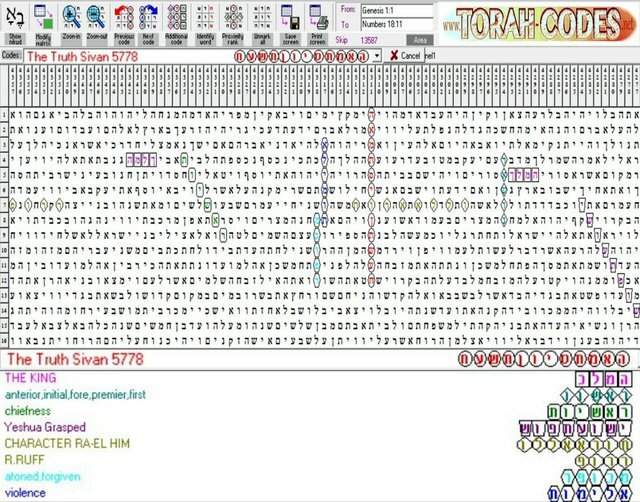 Amen, Thank you, Lord RayEl!!! Truly, an AMAZING gift! Thank you, Lord RayEl!! Praise God for every mercy, in RayEl's name! A gift that may never be able to be repaid hence why it is a gift of immeasurable value. Thank you Lord. Words could never express what this gift is worth. One of the greatest gifts ever. God bless you @prime-cleric . You're doing great job !! You got a 5.90% upvote from @postpromoter courtesy of @prime-cleric! This post has received a 42.39 % upvote from @booster thanks to: @prime-cleric. You got a 11.19% upvote from @upme thanks to @prime-cleric! Send at least 3 SBD or 3 STEEM to get upvote for next round. Delegate STEEM POWER and start earning 100% daily payouts ( no commission ).